There’s not much I love more than a wall chock-full of fabric. Every once in a while I receive an e-mail asking how I hung the wall-to- wall curtains in my master bedroom and/or dining room. Today I am sharing how I did it. My explanation is not the only way- it is just be the way that works for me! It is often difficult (not to mention expensive) to find curtain rods that are long enough to span the length of a room. So, in my constant attempts to keep costs down, here is how I go about hanging drapes along an entire wall. I use electrical conduit (which cost about $2 for a 10ft piece). 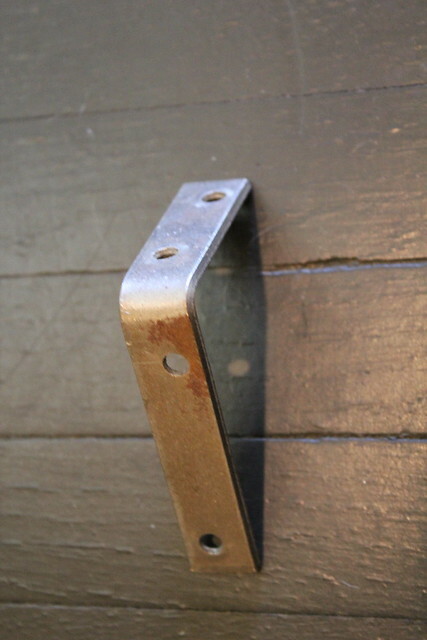 . .
and curtain rod brackets (which are sold separate from curtain rods in most stores). My first step is measuring the length of the wall. 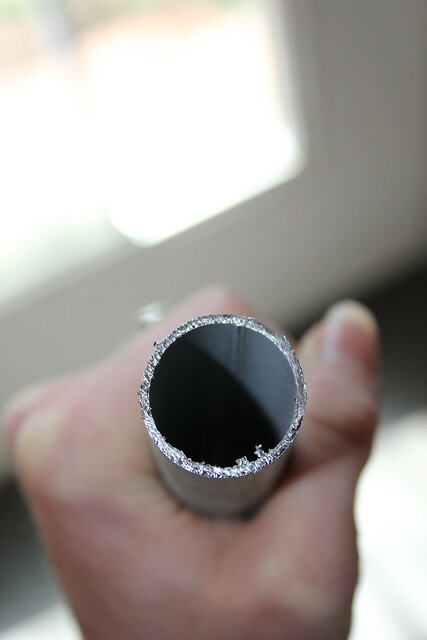 Then I use my jigsaw (with a metal cutting blade) and cut my conduit to be just a tad shorter than my wall length. 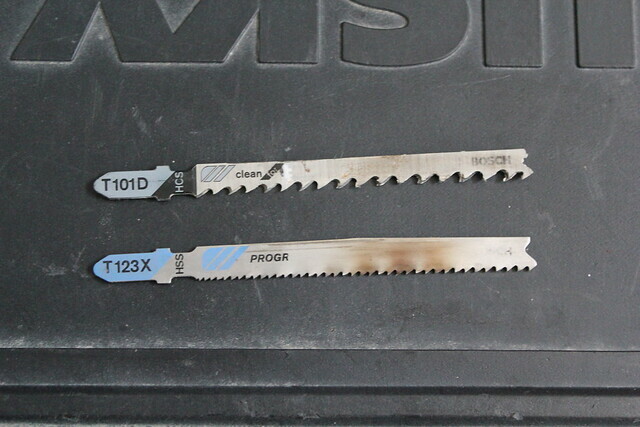 You can also use a chop saw with a metal blade or certain hack (hand) saws. 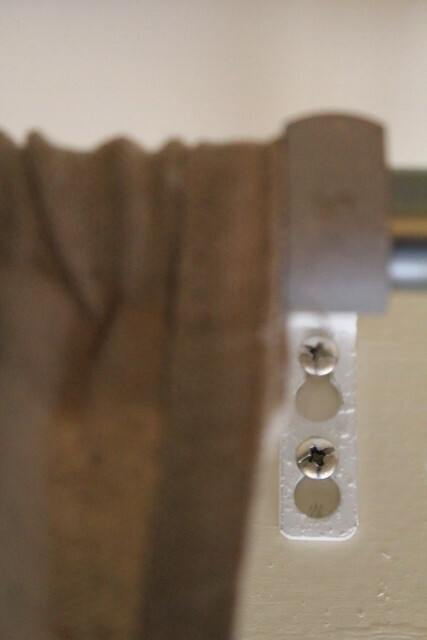 Then I screw my brackets into the wall at the desired height and put the rod in place. TA-DA! 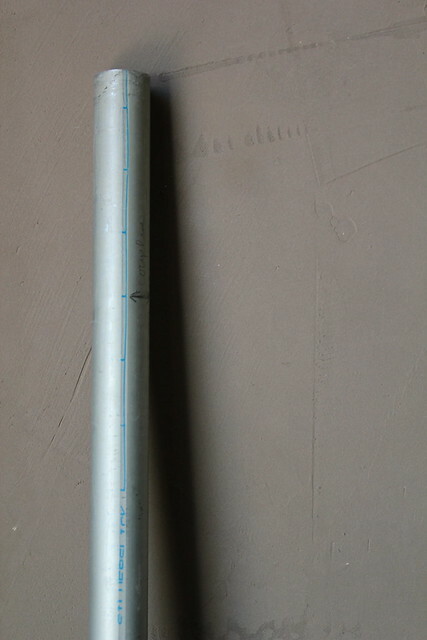 You may want to add a bracket to the center of the conduit depending on the length of your wall to prevent sagging. 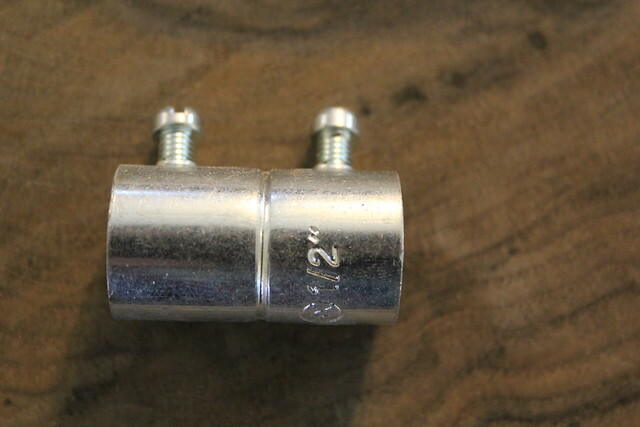 Conduit comes in 10ft lengths, so if your wall is longer than that, you will have to buy a coupler (which is basically a piece of metal that will allow you to add another length of rod to the end of your 10ft piece). And that’s how I hang curtains from wall to wall! 2. Use “L” brackets (like the one below) to attach the board to the ceiling. I hope this will help you to create your own wall full of fabric! I love this look so much, but that much fabric catches a LOT of dog hair. I’m just going to have to drool over yours. And save the great idea for future reference! Our master bedroom wall is just like yours with a window in the middle which takes away from our “centerpiece” which is the bed. I’ve been wanting to do this but thought curtain rods were too pricey for my budget. Thank you for the tutorial and the tips. I’m enjoying your pictures. Did you get a new camera? I’ve added your blog to my daily routine and I’m enjoying it so much! I’m always looking for little projects to spruce up my surroundings and you have such creative do-able ideas. Thanks for taking the time to photograph and explain every step of the process! Great tutorial, Kara! I love that you used conduit, and I really love the way it looks in your master! One day I might put this to work in the sunroom we hope to build. Also, I truly love the gray/yellow combo and pray it never goes out of style. Love the patterns/gradations/textures here! 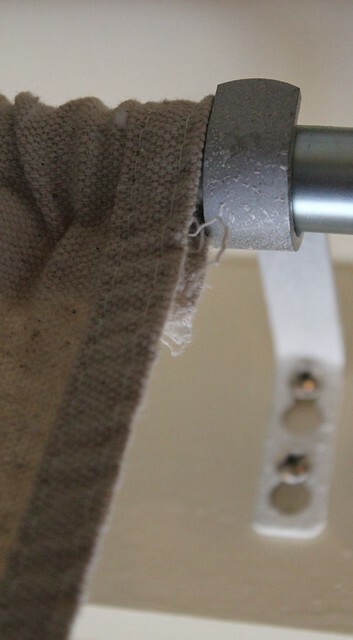 What a totally inventive way to hang curtains because, YES… curtain rods can be super expensive AND really hard to find in the right length! I’m totally bookmarking this post for a potential share on my blog if that’s ok! Thanks for the wonderful idea!!! Thank you so much for the info!!! This will help me a lot when I finally decide to tackle a project like this for my own bedroom! I’m taking this on this weekend. Wish me luck! Hi Kara, these look fantastic! I was looking for examples of walls of curtains and found you via Pinterest. Do you mind if I use one or two of these photos in an upcoming blog post? I would, of course, give you credit directly below each photo. Thanks so much for the info! I have been wanting to hang wall to wall curtains in my master for ages, but could not justify the cost of the rods I would need. This is wonderful! And something I can do. Stumbled upon your blog on Google. I’m now a fan and will be following your wonderful ideas! I am glad you all found this post helpful. I love my wall to wall curtains and bet you will too. Jane – You are more than welcome to use some photos, thanks for credditing! Let me know when the post goes up, I would love to see it. CWhite – Take some pictures of your project, I can’t wait to see how they turn out. Hi Kara. I have a dilemma with the location of my window. My window is on the longest wall of my bedroom, but its approximately 1/2 of the size of my wall and it’s not in the center. It’s like one foot of Wall, then like 3 feet of window, and then another 2 to 3 feet of wall. [If that makes sense] Its not centered, but it a very sizeable window. I want to do the curtain look on this wall, and make my bed the focal, and center it on this wall – do you think the curtain wall would help? The curtain wall will definitely help. 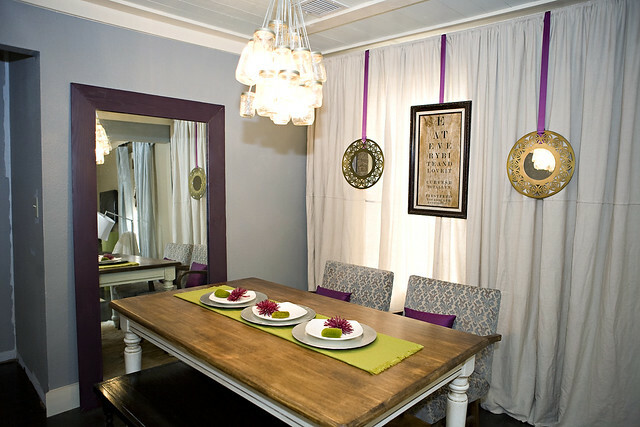 The curtains will hide the asymmetrical portions of the wall and just reveal the center portion of the window making it look like it is centered. 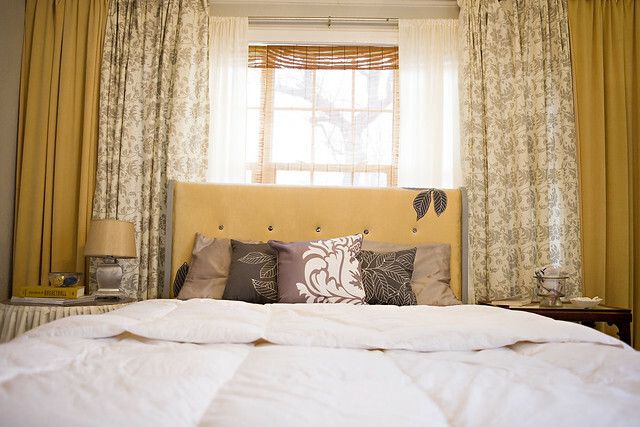 You will want to make sure light doesn’t easily pass through your curtains and give away the secret about your window. (You can layer them, black them out or just buy thick material). Another thing you may want to think about is how it will look from the outside. If it is on the side of your house you may not care, but if it is the front of the house you may want to layer blinds under the curtains to hide the fact that your curtains will not look centered from the outside. Does that make sense?